ThermoHuman is pleased to announce to its customers the deployment of a new version incorporating cutting-edge AI technologies for image recognition. 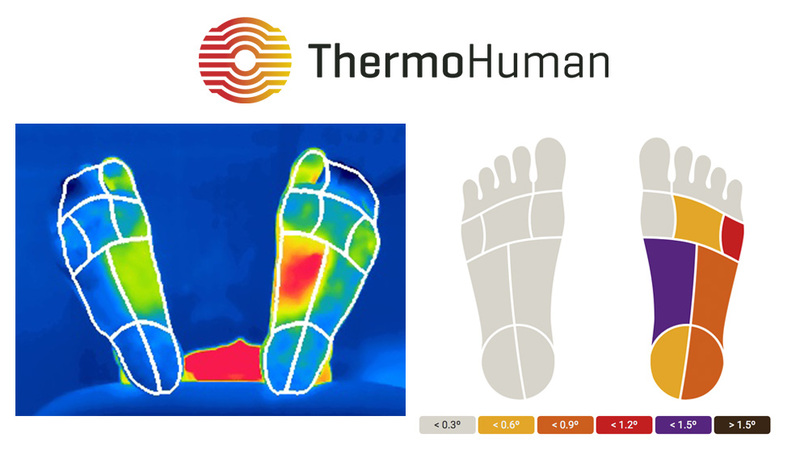 Through the use of Deep Learning techniques, ThermoHuman is now able to perform a much more robust and accurate detection of body areas, allowing for more reliable data and processing images correctly in a broader set of cases. The following video features an example of a feet sole automatic analysis. With these advances, ThermoHuman perseveres in its commitment to excellence and the continuous improvement of its internal processes and customer service, maintaining its position as a pioneer company in the infrared thermography sector. The upgrades in the quality of the data obtained through the new algorithm allow for a better monitoring of the physical state of the subjects analyzed, enriching the Software’s usage possibilities both in the medical and sports sectors.